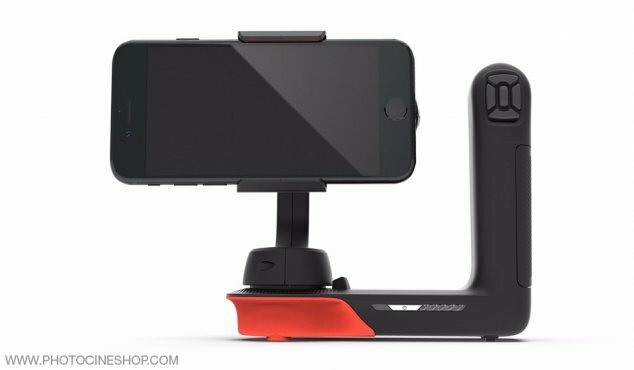 Movi is an ingenious stabilizer designed to bring professional camera moves to your iPhone*. 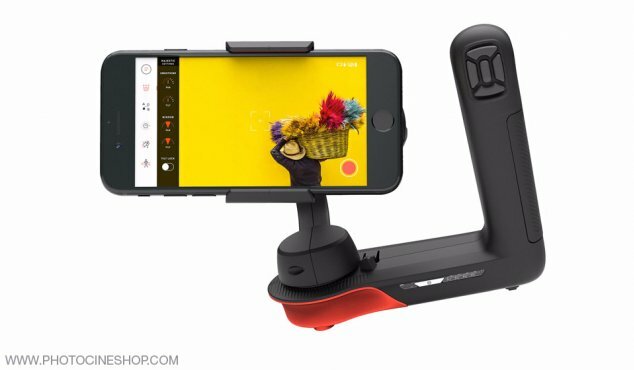 Movi is an ingenious stabilizer designed to bring professional camera moves to your iPhone*. Movi's stabilization technology is the same as that of the Freefly Systems professional stabilizers, only smaller, more portable and easier to use. Pair it with the free iPhone app and enhance your Movi, adding professional styling modes including Majestic, Echo, Timelapse, Smartpod and more. - The Majestic mode gives you direct control over Movi. Movi smoothes and stabilizes your movements in two ways: 1) creating a window where Movi will completely ignore your movement, and 2) smoothing movement outside this window to prevent jerky movements. - Echo mode allows a single operator to execute complex movements. Learn Movi your favorite moves, then run them halfway. Extend or compress the time it takes Movi to go from point A to point B to get the perfect shot if Movi is sitting or moving with you. - Timelapse mode allows you to create professional-quality timelapses that are superb in all circumstances. - The Movilapse mode is what happens when you take your timelapse with you. In this mode, Movi responds 10 times slower than normal. - In Smartpod mode, manually point your phone wherever you want and Movi will hold this position perfectly. - Orbite mode saves time for perfect circular travellings. Set a direction and speed, and Movi will stay locked on the subject around which you will turn. Produit au Top, commandé la veille à 17h, reçus le lendemain, Merci ! La version android de l'appli est maintenant disponible.